A recently renovated three bedroom cabin with a full bathroom, full kitchen, and an unfinished screened porch. The most private of the cabins, Cabin #1 is only a few feet from the water! This cabin is equipped with two twin over full bunk beds, one queen bed, and 2 sleeper sofas. 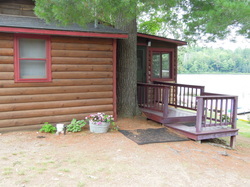 This cabin has stunning views of the lake, a private grilling/picnicking area, and its own swimming area and dock. Click here for more images of Cabin 1. A two bedroom cabin with 3/4 bath, full kitchen and dining area. This cabin has a twin over full bunk bed in one bedroom, a full bed in the other, and a sleeper sofa. The picture window in this cabin has a beautiful elevated lakeside view. Just outside the cabin is a fire pit, picnicking/grilling area, and a swimming area. This cabin is perfect for grouping together with Cabin #3! Click here for more images of Cabin 2. Another two bedroom cabin with 3/4 bath, full kitchen, and dining area. This cabin has a twin over full bunk bed in one room, a full bed in the other, and a fold-out futon. 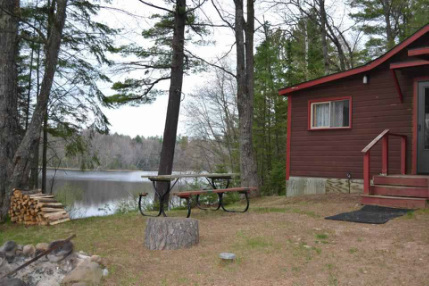 This cabin has a large picture window with a beautiful elevated view of the lake and a picnic area and fire pit for marshmallow roasting and campfire stories. This cabin is great for grouping with Cabin 2! Click here for more images of Cabin 3. 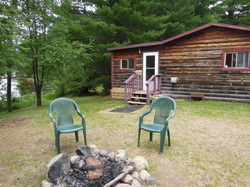 Cabin 4 is a one bedroom cabin with a 3/4 bath, full kitchen, and dining area. This cabin is nestled at the end of the row of cabins highest up on the hill for a stunning lake view. This cabin is equipped with a twin bunk bed and a full bed in the bedroom as well as fold-out futon in the main room. Enjoy the breeze and lakeside views or gather around the picnic area and fire pit. 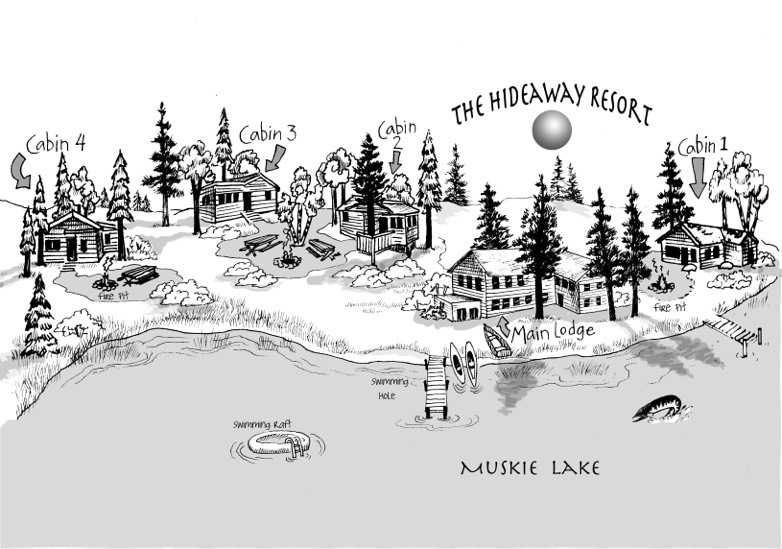 Click here for more images of Cabin 4.